Whether you’re ready or not, February is right around the corner. As arguably the most romantic month of the year, it’s well known as the season of love and affection, and you know what that means. It’s time to figure out just how to get your valentine swooning. Are you hoping to get the attention of a certain cutie you’ve had your eye, on or are you looking to take your long-time love to do something different? Well, move over dinner and a movie: the best way to impress your valentine this year is with indoor skydiving. Here’s why. This Valentine’s Day aim to be unique. Holidays can become a little too “routine.” Valentine’s day is no different. If you want another Valentine’s day for your love to snooze through, rest on your laurels and stick with the usual gifts of cards and candy. You won’t be the only one: Hallmark, the king of capitalizing on commercial holidays, estimates that approximately 144 million Valentine’s Day cards are exchanged each year*!!! By this point in their life, we can guarantee your love interest has gotten their fair share of the same ole, same ole cards and candy. Maybe this is the year you can dare to be different and give them something unique: an indoor skydiving experience. P.S. We’re not dissing the tried and true; we are simply saying if you want to make this Valentine’s day one to remember, don’t take a trip down the candy isle. After all, coming off of the winter holidays, do any of us really need more sweets? Save the sugar high and give your Valentine a gift that is really outside of the box! Valentine’s day can quickly become another holiday all wrapped up in consumerism. It’s not that the issue is with gift giving. After all, giving your significant other something special is a wonderful way to show you appreciate them. The issue is the majority of us simply have too much stuff already! This Valentine’s Day experiences are where it’s at. Instead of giving another knick-knack that gets forgotten, give an experience that will stick with them. It’s bound to happen at least once. You forget to make reservations at that restaurant s/he loves. You know, the one that you have to call to book at least 2 months out. No sweat. Skip the long waits and crowded restaurants. 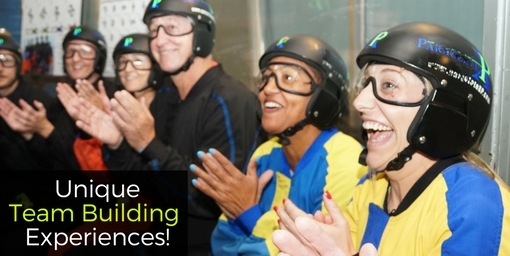 Instead of making a dinner reservation, take your better half to try out indoor skydiving. Trust us, you will both enjoy celebrating the holiday away from every other couple in the state. What would you say if we told you it was possible to up the ante this Valentine’s Day and better your bond with your significant other? Impossible!? Hardly. Trying something new, like indoor skydiving, isn’t just a neat way to have a fun time. Engaging in an activity neither of you have done before can be a breath of fresh air for your relationship as a whole. Even if you and your significant other are not naturally adventurous, trying a new activity is a great way to introduce some newness and excitement into your relationship. Aside from adding a level of excitement, there’s the added bonus of connecting through learning to do something new together. Who knows? You two might find indoor skydiving is something you both love and a hobby you want to continue! What do you think? 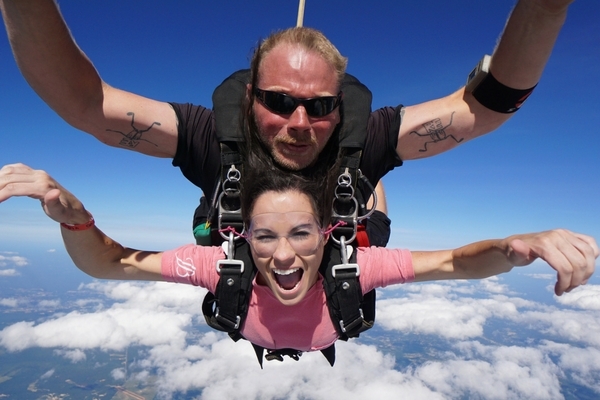 Is this the year you impress your Valentine with an indoor skydiving experience?